Click on alphabet for Czech Baby Boy Names & Meaning. Click on alphabet for Czech Baby Girl Names & Meaning. Babynology has more than thousands of Czech baby names and meanings. Here you can deluge yourself with the distinctive list of Czech Republic names. 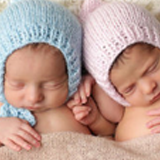 Just browse the modern Czech babies names shortlist Czech name from a-z alphabetic order and get the Czech baby name of your choice. You can pick up the best Czech names of your choices along with meaning, popularity, numerology, comments and many more. Babynology has collection of 176 Czech Names with meaning.